Do you have a young child between the ages of 2 and 10 in your house? Do they love Thomas the Tank Engine and Friends? Do they play with trains all day long? Then I’ve got a day trip for you. Not only will it please your little Thomas lover but it will also entertain the rest of the family too. I have a die-hard Thomas fanatic in my house. He lives and breathes Thomas, trains, and tracks. I first heard of Day Out With Thomas last summer from friends. My son was just 2 ½ then but he had a blast and surprisingly so did we. We had such a good time we decided to go back again this year. And for the past few weeks leading up to the trip, it’s all my son’s been talking about. 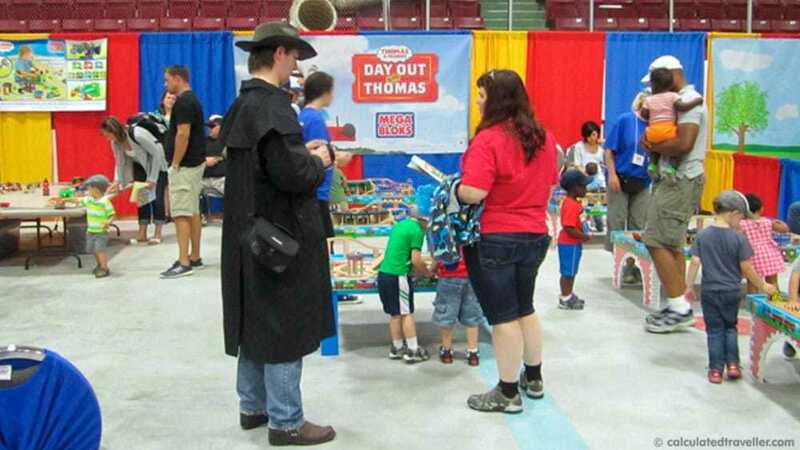 Day Out With Thomas is a themed tour designed to appeal to little engineers and all those who are kids at heart. The travelling tour, which will visit 50 heritage railroads across North America in 2013, makes its home in St. Thomas, Ontario for two weekends every July. 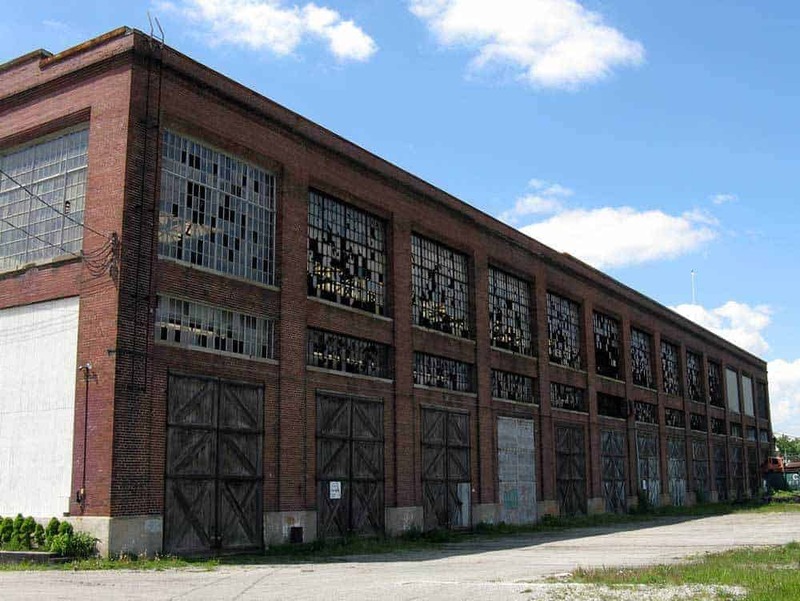 It takes place at the Elgin Memorial Centre in St. Thomas and is presented by the Elgin County Railway Museum. While it’s stationed in St. Thomas visitors can expect to take part in wholesome family fun. There are interactive activities, stations, and fun-filled events. Of course, the main attraction at Day Out With Thomas is the 25-minute train ride on an exact replica of the Thomas the Tank Engine train. The replica is a full-sized model that true devotees will adore. Popular Thomas and Friends theme songs are played during the ride, and there is ample opportunity for taking scenic pictures. As the train winds its way through St. Thomas proper and passes by the many level crossings you will be greeted by locals (young and old) who happily wave at passengers as Thomas rolls along. The train ride ends with an opportunity for each family to take their picture with Thomas. Apart from the train ride the indoor and outdoor grounds have dedicated activity sections that will keep everyone in the family interested. Designated areas include arts and crafts, storytelling, interactive play area, bouncy castle/Thomas, Island of Sodor maze, meet and greet with Sir Topham Hatt (the Sodor Railway Controller), petting zoo, and model railway display. Lastly, this outing wouldn’t be complete without a trip to the gift shop, where you can find some unique Thomas and Friends items including, clothing, toys and games, CDs and books, etc. We picked up for my little guy a Thomas rain poncho, Thomas singing toothbrush, and a Thomas beach towel, among a few other things. This event has been running in St. Thomas for nine years and is very popular. I wasn’t sure what to expect the first time we went, but I was really surprised by the turnout. I had no idea Thomas had such a huge following and since then, thanks to my son, I’ve had quite a schooling on the widespread popularity of Thomas and Friends. When you’re finished visiting with Thomas, why not stop over at the Elgin County Railway Museum to see their collection of diesel and steam trains, caboose, and other railway equipment. Admission is free with your Day out with Thomas ticket. The 2-hour drive that it took us to get to St. Thomas was worth every minute to see the smile on my son’s face. When we got back home, he simply said, “I just want to go to another Day Out with Thomas now”. Have you gone on a tour just because your children have wanted to and found yourself pleasantly surprised by the experience? Sophia Murphy is a freelance writer/copy editor based in Toronto, Canada. She is a busy mother of two boys and enjoys travelling with her family.